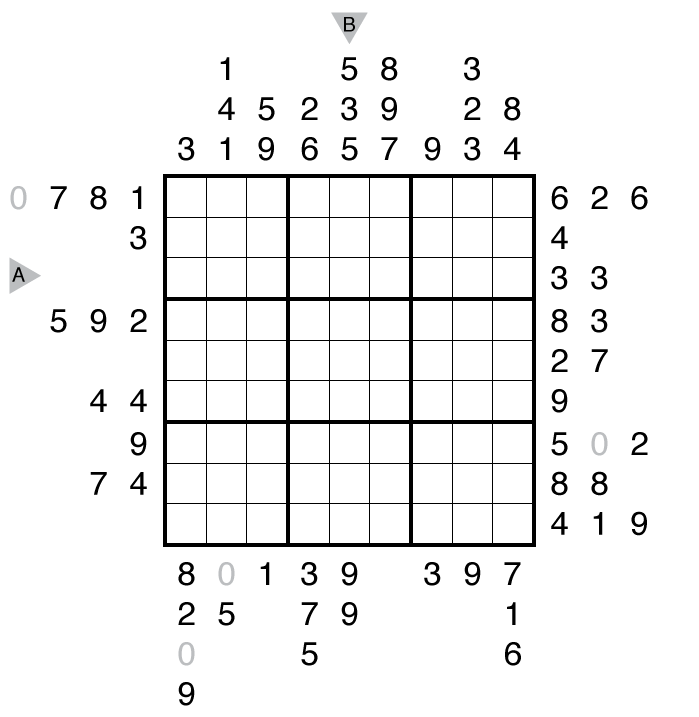 Author/Opus: This is the 37th puzzle from our contributing puzzlemaster John Bulten. Answer String: Enter the 3rd row from left to right, followed by a comma, followed by the 5th column from top to bottom. 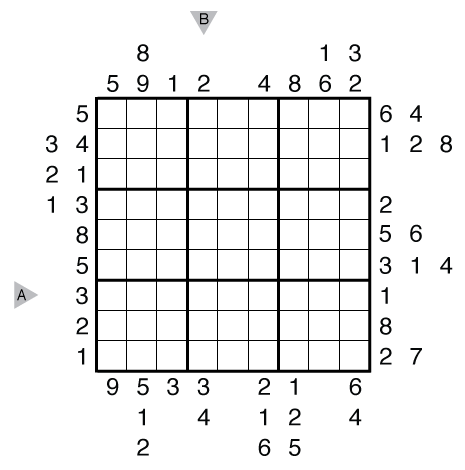 Note: Follow this link for more Outside Sudoku puzzles. 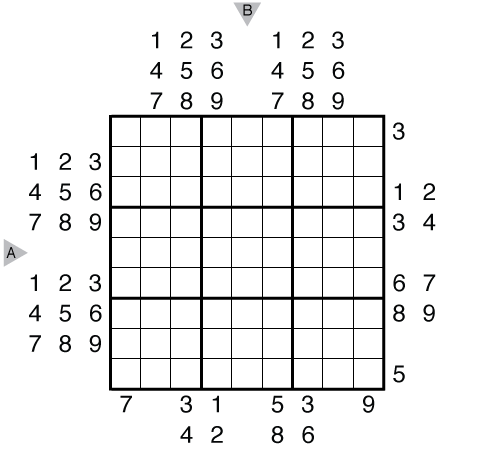 Theme: Almost all in order – two double 1-9 digit pangrams and two single 1-9 digit pangrams are on the outside of this grid. 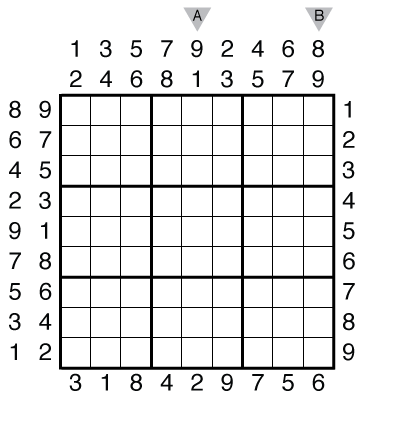 Rules: Standard Outside Sudoku rules. Answer String: Enter the 5th column from top to bottom, followed by a comma, followed by the 9th column from top to bottom. Theme: A series of series (and a constant and a square) — The seemingly random numbers outside the grid actually have some rhyme and reason. Answer String: Enter the 7th row from left to right, followed by a comma, followed by the 4th column from top to bottom. Answer String: Enter the 5th row from left to right, followed by a comma, followed by the 5th column from top to bottom.